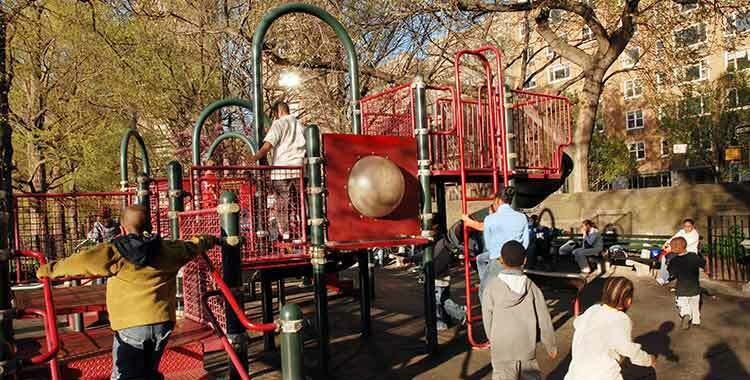 Located in one of the most beautiful settings in the Park — across from the Harlem Meer — the playground is also near the Charles A. Dana Discovery Center, which offers additional recreational opportunities. Fishing poles are available for children and adults to borrow for catch-and-release fishing in the Meer. Features:The playground includes bucket swings, an enclosed sandbox and a play structure with a bridge, slides, climbing poles and multiple platforms.